Our bankruptcy team has the expertise to assess whether reorganization of debt or bankruptcy is an option for you, in an effort to protect you and satisfy your creditors. They represent families and individuals, who are struggling financially through bankruptcy, chapter 7, chapter 13 and debt settlement. Our real estate attorneys have the expertise to help you pursue your legal options in an effort to keep your home (loan modifications and short sale assistance to avoid foreclosure). We also help with evictions. Our estate planning lawyers collaborate with you to create an estate plan to accomplish your goals and give you peace of mind. Assistance includes estate planning, wills, trusts, conservatorships and more. Our family law attorneys help you with family law matter such as divorce, child support, alimony and custody battles. Our business law attorneys counsel you and business structure and transactions to achieve your goals and protect your interest. Prior to partnering with Carson Pearson, Jeff Butler worked as corporate in-house counsel for companies in Utah and California. 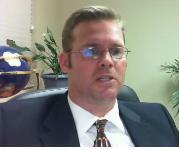 He has experience with real estate law, mortgage law, business law, and healthcare law. He also has also extensive healthcare administration experience. Mr. Butler grew up in Utah and California. He graduated from Brigham Young University where he graduated with University Honor Program. He attended the J. Reuben Clark Law School at Brigham Young University while also pursuing a master degree from the Romney Institute of Public Management. During law school, he externed for two federal judges, the Honorable Judge Benson and the Honorable Judge Green. Mr. Butler is licensed to practice in the State of Utah and the State of California and enjoyes practicing as a Utah lawyer. Mr. Pearson began his career working for a boutique tax and estate planning firm for high net worth individuals. Carson then founded CMP Consulting and consulted to small businesses regarding business management, sales, marketing, and various compliance issues including the oversight of several national media campaigns. In 2002, Mr. Pearson co-founded a home health care company and oversaw its growth for over 6 years before selling in 2008. Carson also founded a Title Insurance agency in 2006 and sold this in 2010. Mr. Pearson his law firm in 2006 and is currently a Partner in the firm of PEARSON & BUTLER, PLLC. Mr. Pearson received his bachelor's degree from the University of Utah. He received his Juris Doctorate from BYU Jr. Reuben Clark School of Law and is a proud member of Phi Beta Kappa. He has been a member of the Utah State Bar since 1999.